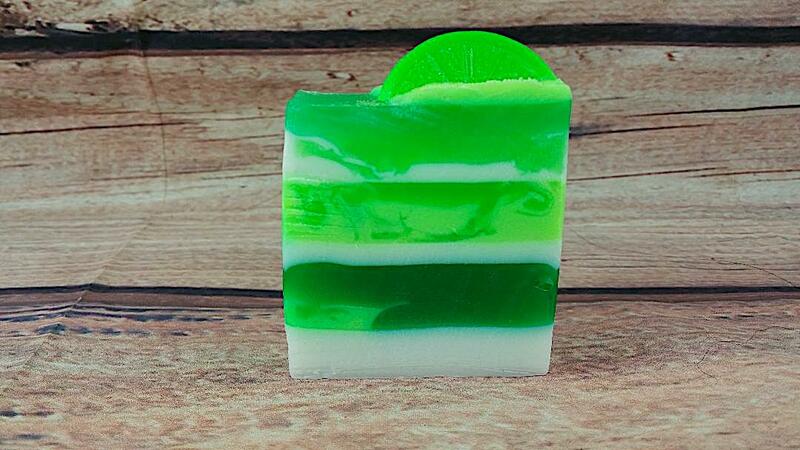 Very fresh bar of soap – Coconut Lime Verbena! Coconut Lime Verbena Soap – A citrus bouquet of lime, kumquat, grapefruit, and lemon. Has a soft floral undertone of jasmine. A background of musk and sandalwood. Best Seller! 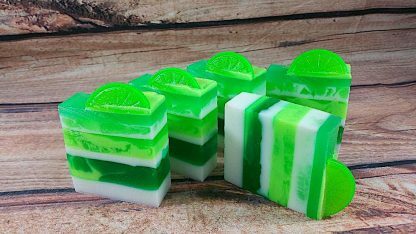 Store in a cool, dry, dark place to get the most use out of your soap and keep dry between each use. 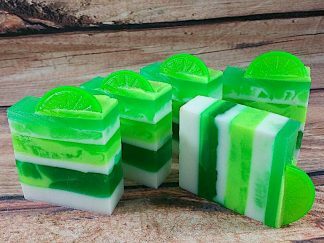 Ingredients: Melt and pour soap base. Most noteworthy, one of the many benefits of our cold processed soap is having complete control. Therefore we choose what products we want to utilize. First of all, we do not use harsh chemicals. 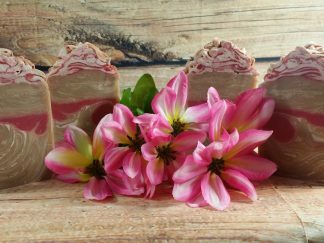 All solid soaps are made from sodium hydroxide. Furthermore, some of our products are infused with melt and pour soap base (MP). 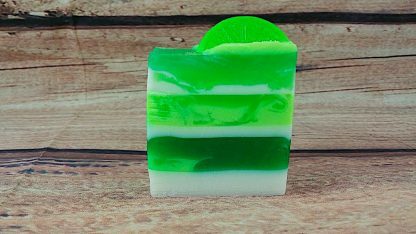 MP soap – a pre-made ready to use base. 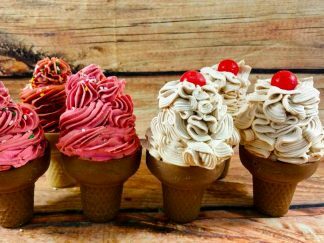 Hence the cold process method called saponification. Consequently, a process by mixing or saponifying lye and oil. No lye remains in the finished soap. As a result, the chemical reaction makes soap. 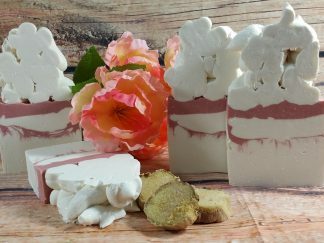 In conclusion, customers can buy handmade soaps with no artificial detergents. In addition, there are no harsh chemicals. Furthermore, some soaps contain additives. Additives will be in the description. 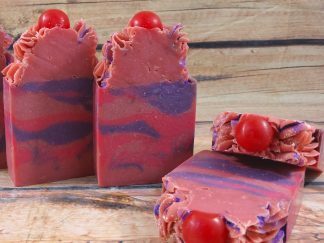 Overall, not able to find a scented soap, please inquire! Just comment or send an email!!! Tell us what fragrance you are inquiring about. 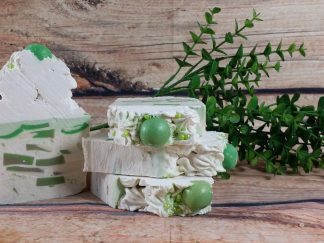 Certainly, try coconut lime verbena soap today. Finally, love every minute of the skin cleansing experience.